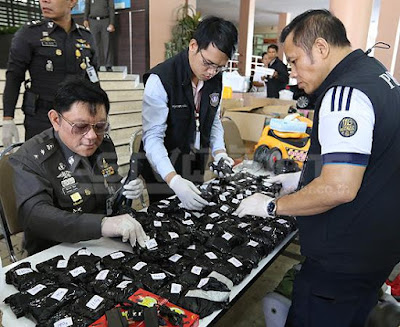 On Friday Pattaya Police conducted conducted a search at Oasis Agogo in Soi Buakao, Thailand, because of an assault on a foreign man 24 hours earlier. It is believed the Australian man didn't pay for his 160 bht beer! When police raided the bar there were 15 staff members with the boss. 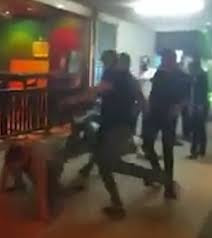 Because of the video clip of the alleged assault on the Australian tourist the prior night, Police arrested Khun Gisana aged 30, known only as “Johnny”. He admitted to attacking the foreign man, after he was attacked by another foreign man from a bar next door. It is thought the initial attack by the foreigner was over excessive noise and then out of anger due to the 160 Baht unpaid bill, Khun GIsana then assaulted him as seen on the youtube clip above. Police decided to use their discretion and did not arrest the bar worker, despite his admission. Cannot believe they didn't arrest him, if this was the other way around the foreigner would have been locked up! The bar will operate as normal and no closure notices will be imposed on the venue.